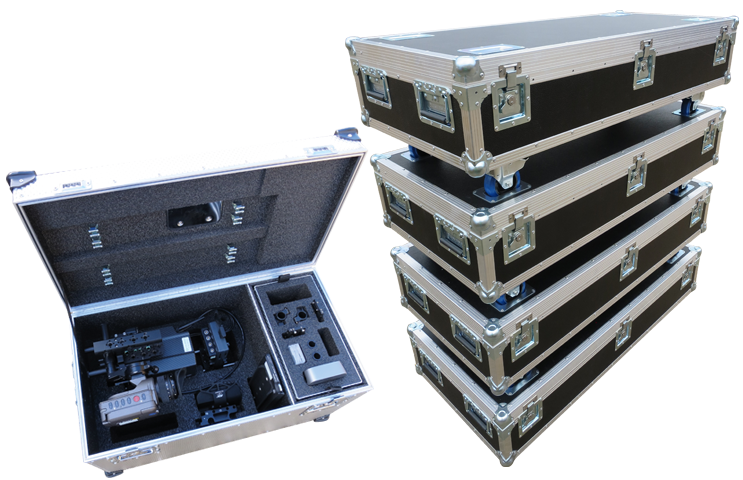 As the name suggests we design and manufacture specialised Cases, often referred to as Flight Cases, and Enclosures. Typically our clients have high value equipment and accessories which they want to protect during storage, transit and operation. We design custom solutions to maximise protection from the elements, shock and vibration whilst utilising a minimum of weight and space. Our products are produced in a variety of materials for many different markets.
" For over 20 years we have used Case Design to build our aluminium cases. Our equipment is the best, so we only use the best and we need to guarantee that our equipment is as secure... "